The Chetco River Bar Webcam is updated every fifteen minutes and will give you a glimpse of the current conditions of the safest bar on the Oregon Coast. Click here to view the latest Webcam image. 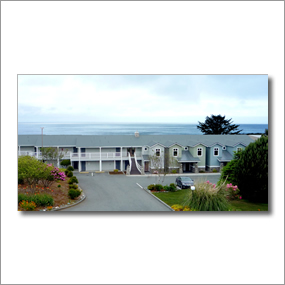 The Pacific Reef Resort offers oceanfront lodging and vacation rentals located in Gold Beach with private access to the pristine sandy beaches of the southern Oregon Coast. Ideally situated for walks to nearby shops and restaurants and a picturesque 35 mile drive north from the California border you'll be staying at the mouth of the world renowned Rogue River with its great fishing and jet boat tours into the Kalmipsis Wilderness. From standard and luxury guest rooms to one bedroom condominiums to a two bedroom apartment, the Pacific Reef Resort has accomodations to suit most needs and budgets. Stretching for half a mile along the Chetco River. All Sites Full Hook-Up with Free Cable-TV and Picnic Tables.